Dennis Mugo and Marina Haberstroh got to know each other and got the vision of supporting street chidren through a save home for them. The work started small with street feeding programs on the streets in Mombasa. In this way we took up contact with the children on the streets. our Team was growing up through Almut Slezak und Magdalena Pfirrmann. We established with the help of funds from Germany a home in a rented house for our first six former street children. 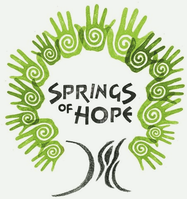 our project got recognised as a non-profit association "Springs of Hope, Faith and Mercy e.V." in Germany. It was possible to give more street children a new home in our project. we acquire land for the new buildings for the Springs of Hope Center in Kilifi. The construction works started in the same year. the new center for the street children has been completed and the kids could move in their new home.